Placerville was one of the first camps established after rich placer deposits were discovered in the Boise Basin region in late 1862. Placerville was located on rich ground, and quickly grew to be one of the region's premier mining settlements with a peak population of several thousand by 1864. I have been here some three or four days, and find things very brisk. These mines are going to be the richest that have been struck since '49; in fact many old Californians say they are a great deal better. They are in a basin some 30 miles long, by 25 miles wide and every gulch and creek pays well - the dry gulches pay from 50 cents to $5 to the pan. I have been prospecting for the last two days and have got fair prospects. I have taken 200 feet in a quartz claim, and have got a good creek and gulch claim all playing well. There are three mining districts in this basin; one is called Moore's Creek, the other Grimes, and the other Placerville; they are very large camps. The miners are making from $50 to $60 per day, and packing their dirt in flour sacks from 100 to 200 yards. During the first couple years of the Boise Basin rush, Placerville established itself as both a rich mining camp and the supply center for the rest of the region. By summer of 1863 Placerville had around 90 houses, thirteen saloons, five blacksmith shops, seven restaurants, and five meat markets. Placerville's status as largest settlement in the region would end quickly though as the nearby boom town of Idaho City became both the largest city in both the Boise Basin and the entire Northwest, eclipsing even Portland, Oregon. The Pioneer Mill, a ten stamp mill constructed at Granite Creek near Placerville, was the first stamp mill in the region. Placer mining throughout the Boise Basin was limited both by winter conditions and by lack of water in the summer. Despite the short placer mining season, most of the rich ground had been worked out by 1870. Typical to many placer mining regions in the West, the Chinese moved in and worked the lower grade deposits and reworked ground that had been mined in the 1860's. The population of Placerville was less than 400 by 1870 and the town would never again see the boom times that had defined the town in the 1860s. A series of fires, the greatest being in 1899, burned much of the town. A few historic buildings remain in Placerville's business district, which is built around a town square (an unusual feature for mining-era camps). Two historic buildings contain museums and as of summer of 2018 the town had an active mercantile. 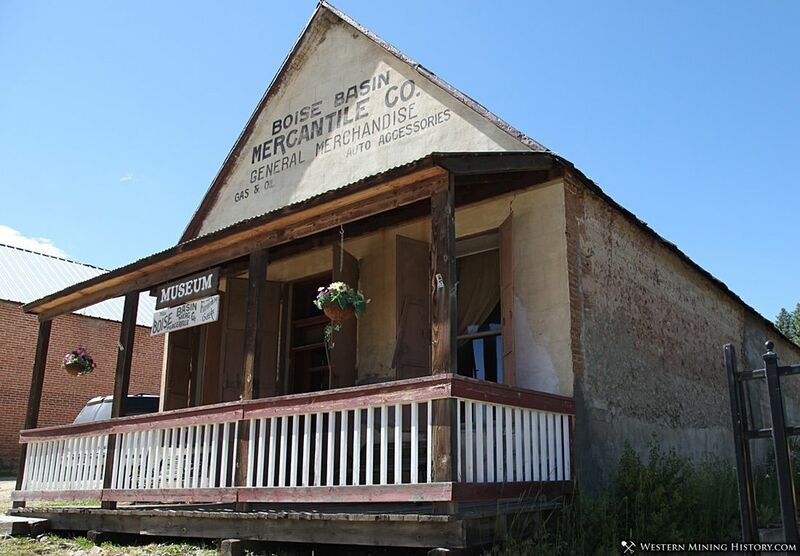 The Boise Basin Mercantile was built in the 1860's and was among the first stores in Placerville. 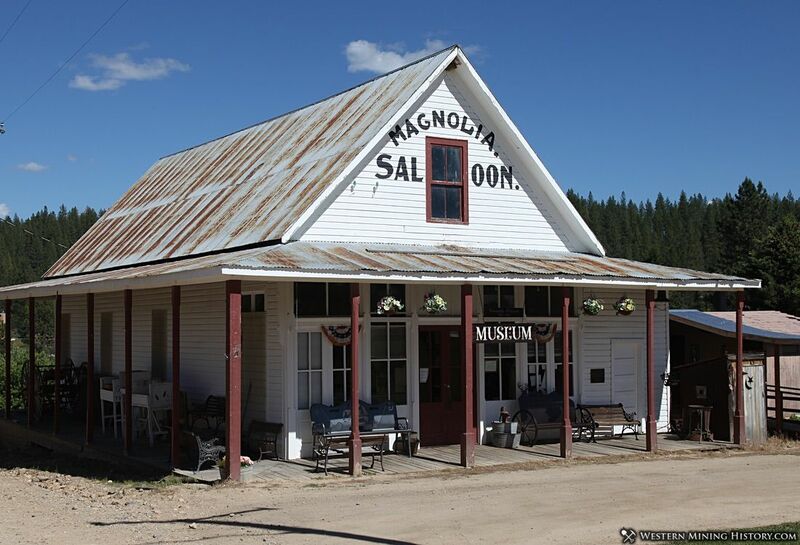 The store holds the distinction of belonging to the first chain stores founded in Idaho. The owners operated similar businesses in Idaho City and Centerville until the end of the mining boom. The Mercantile now serves as one of Placerville's museums. The artifacts found at the Mercantile allow visitors to view the shelves stocked with period items. This enables them to recall the many wonderful treasures miners and travelers would find in a mining era mercantile. In September 1984 the building was recognized as Contributory Property and placed on the National Register of Historic Places. Located in the building's basement is the lone cell of Placerville's original jail. Few criminals actually saw the inside of the jail during the community's early days as most either received a bullet or were swung from the end of a rope.